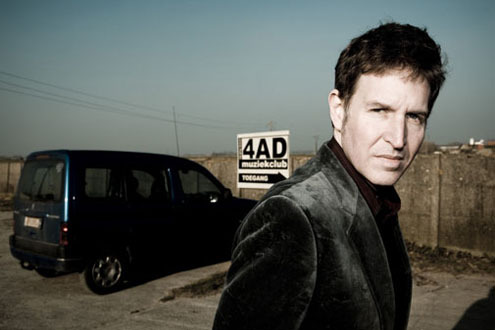 As the lead singer / songwriter for Paisley Underground-era act The Dream Syndicate, Steve Wynn penned one of the great albums, not just of his or their generation, but of all time. Days of Wine and Roses, featuring the undisputed classics Tell Me When It’s Over and That’s What You Always Say sits nicely alongside Neil Young’s ‘After the Goldrush’ or the ‘Velvet Underground & Nico’ album as a definitive piece of noir-rock. Proving they were no one-underground-hit-wonder, The Dream Syndicate followed that masterpiece with another in The Medicine Show, then a live album and further studio works before calling it a day in 1990. Since then Wynn has appeared as a solo act or as the frontman for The Miracle Three and The Baseball Project (the latter featuring R.E.M’s Peter Buck) and returns to Australia for the first time since 1986 appearing in duo-mode with his wife and drummer Linda Pitmon. It is our pleasure to welcome Steve Wynn back to our shores. Tickets $36.00 + bf on-sale now from feelpresents.oztix.com.au, www.moshtix.com.au, all Oztix & Moshtix outlets or phone 1300 GET TIX. Ph: 1300 GET TIX or in person at all Oztix & Moshtix outlets.